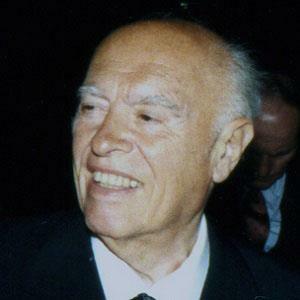 Italian movie producer known for his work on the 1965 classic film Doctor Zhivago. He also produced La Strada, a 1954 film directed by the legendary Federico Fellini. He studied law at the University of Milan. Over the course of his career, he produced more than 140 films. He married Giuliana Fiastri in 1946 and Sophia Loren in 1957. Four years after they annulled their first marriage (in 1962), he and Loren remarried. An art collector as well as a film producer, he owned work by Pablo Picasso and other acclaimed visual artists.